Conference Location: Colonial Williamsburg Lodge, 310 S. England Street, Williamsburg, VA. Please note hotel check-in time is 4:00 pm and is on the Main Level. Parking: Parking at the Colonial Williamsburg Lodge is complimentary for self-parking, $15 per day for valet. Parking maps have been added to the VLA Conference Portal. Volunteer: The VLA conference can't succeed without volunteers! Browse our volunteer opportunities and sign up to help today! Conference App: Download it today from your App Store! Search Virginia Library Association or 2018VLA! Wednesday Tours and Activites: There is still time to sign up! Our Final Conference Program is now available! Early Registration: Wednesday, September 26, 4:00 pm - 6:30 pm, Main Level, outside the Colony Room at the Colonial Williamsburg Lodge. 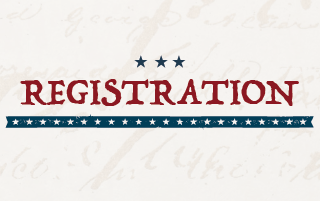 Thursday Registration: Begins at 9:00 am, outside the Virginia Room on the lower level of the Conference Center. Coffee and light breakfast will be served in the rear of the Exhibit Hall. Friday Registration: The Exhibit Hall will open at 8:30 am and closes at 3. Registration is in the rear of the Exhibit Hall. So many options to choose from! Join Cycling for Libraries (just $35 for bike rental, helmet and lock!) or choose from one (or more) of the free, amazing tours our Local Arrangements Committee has organized! 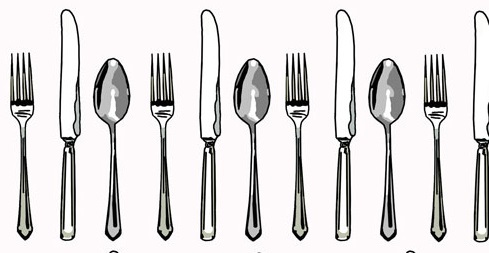 We've also got a New Members Round Table Pub Crawl Wednesday evening. Sign up now to secure your spot! 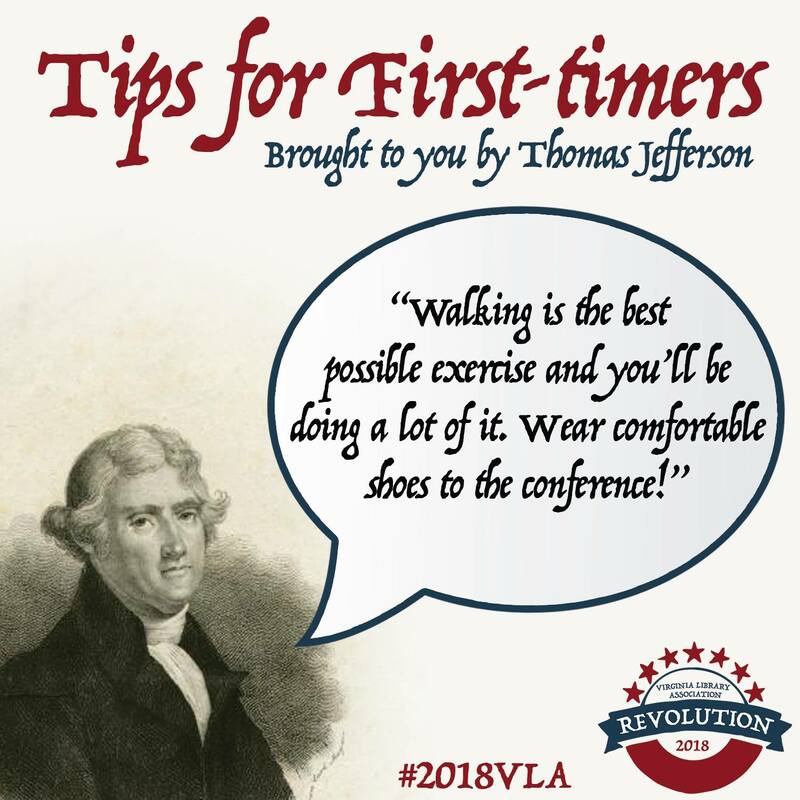 As the 2018 VLA Conference approaches, we are already looking forward to 2019! Following the Conference, there will be opportunities for VLA members to serve on various committees and forums. 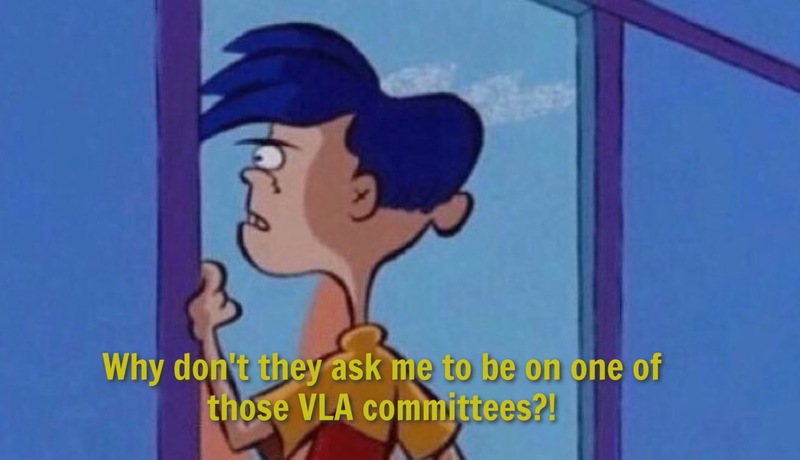 We are currently working on revising our Committee Interest Application, but in the meantime, if you have questions about serving on a committee or a forum let VLA 2nd Vice President Adrian Whicker ([email protected]) know of your interest and he will be in touch. There will be vacancies on each of the following committees: Continuing Education, Intellectual Freedom, Awards and Recognition, Scholarship, Conference, Jefferson Cup, Legislative, and Website Content. 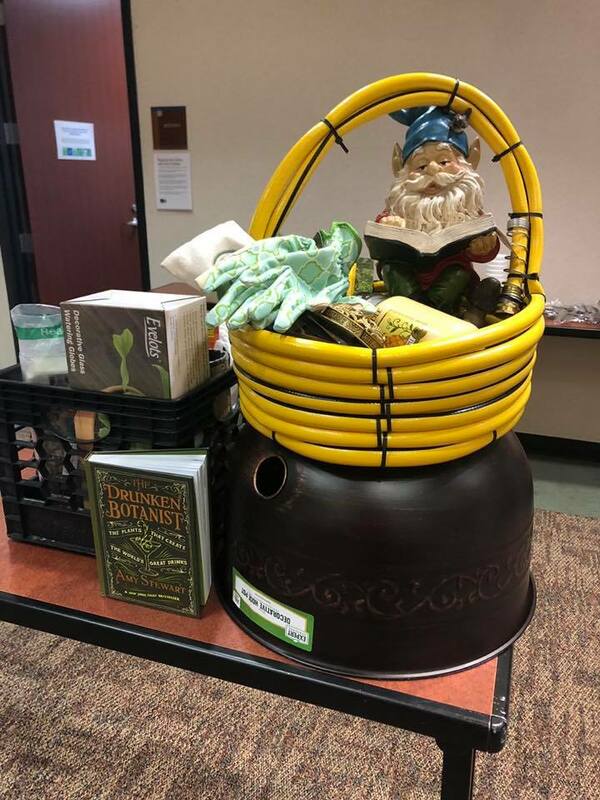 The Annual VLA Scholarship Basket Raffle is one of our biggest fundraisers for VLA Scholarships. Save time by buying your tickets in advance and pick them up at your leisure in the Scholarship Booth outside the exhibit hall in the Virginia Foyer, lower level. Tickets are $2 each or 3 for $5. Want to donate a basket? Please contact 2018 VLA Scholarship Chair Michael Hibben. As we receive them, documents from VLA presenters will be posted on our Annual Conference Portal. Are you a VLA Presenter? Submit your documents through this form. Attendees: thank you for your patience as we load these. Many schedules were affected by the weather in VA last week and early this week; presenter safety was paramount and many were not able to finish their presentations yet. PRO TIP: Bring a refillable bottle for non-stop access to hydration stations in the back of each session room.